The 2010 Seattle Seahawks season was the franchise's 36th season in the National Football League, the 9th playing their home games at Qwest Field and the first under head coach Pete Carroll after Jim Mora was fired on January 8, 2010. The team exceeded their win total from 2009 and won the NFC West with a 7–9 record. They became the first team in a full season to finish with a sub-.500 record and make the playoffs, a berth which was by virtue of winning the division. The 2010 Seahawks also became the first sub-.500 team to win a playoff game with their home win against the defending Super Bowl champion New Orleans Saints, remembered in NFL Lore as the Beast Quake game, but then had their season ended by the second-seeded Chicago Bears in the divisional round. Statistics website Football Outsiders calculated that the 2010 Seahawks were only the second-worst team (after the 2004 Rams) that they had ever rated to qualify for the playoffs. General manager Tim Ruskell resigned from his position two weeks before the 2009 regular season ended. Interim GM Ruston Webster took over until the season ended, but was not retained as GM. However, Webster left the team for a similar position for the Tennessee Titans instead. Surprisingly, the head coaching vacancy created by Mora's departure was actually filled first by the Seahawks through Pete Carroll. Seahawks CEO Tod Leiweke suggested that Carroll and the GM would have a "collaborative relationship" over control of the team. Among candidates interviewed for GM were former Tennessee Titans General Manager Floyd Reese and New York Giants scouting director Marc Ross. On January 19, 2010, the Seahawks officially signed Green Bay Packers director of football operations John Schneider as their official General Manager. We're going to compete like crazy. Maybe like you've never seen. And I hope that will be the theme that will rise to us and that will be the most important part of it, because we are in the most competitive world that you can be in the NFL. I can't wait to get this thing underway. I can't wait to get it started. — Pete Carroll, speaking from his introductory press conference as Seahawks Head Coach. Following a disastrous 5–11 season in his first season with the Seahawks, Jim Mora was fired on January 9, 2010. Mora was apparently surprised and disappointed about the news, but Seahawks CEO Tod Leiweke stated that the franchise was moving to a new direction to become successful. Within days after Mora was relieved as Head Coach, the Seahawks began to interview candidates such as USC Trojans football head coach Pete Carroll, Minnesota Vikings defensive coordinator Leslie Frazier and San Diego Chargers defensive coordinator Ron Rivera. Controversy aroused when news broke out that Carroll was in preliminary agreements to sign a contract as head coach and have full control of the franchise when neither Frazier or Rivera were interviewed, thus potentially breaking the Rooney Rule. However, Frazier agreed to an interview before the Seahawks signed Carroll as coach, thus fulfilling the rule. Two days later, Carroll officially became the 8th head coach in franchise history. Within days after Carroll was hired, the rest of the coaching staff was revamped. With the exceptions of Gus Bradley and Dan Quinn, none of the coaches from Mora's tenure returned. USC Football offensive coordinator Jeremy Bates joined as the Seahawks offensive coordinator, while Alex Gibbs from the Houston Texans would serve as offensive line coach and assistant head coach. However, weeks before the start of the NFL regular season, Gibbs would suddenly retire from the position, with Carroll's former USC assistant Pat Ruel to take his spot. Wide receiver Nate Burleson, after a 4-year stint with the Seahawks, signed with the Detroit Lions on March 5, 2010, after 24 hours of free agency. Backup quarterback Seneca Wallace, known for his versatility as a wide receiver, was sent to the Cleveland Browns on March 8, 2010 in exchange for a conditional 2011 NFL Draft pick. Guard Rob Sims, who started regularly for the Seahawks for the past 4 years, was traded to the Lions in exchange for defensive end Robert Henderson and a 5th round pick in the 2010 NFL Draft. Veteran defensive End Darryl Tapp was also traded to the Philadelphia Eagles in exchange for Chris Clemons and a 4th round pick. On April 13, 2010, Defensive end Patrick Kerney announced his retirement after 11 NFL seasons. Kerney made the Pro Bowl in 2007 and led the team in sacks on two occasions (2007 and 2009). On April 29, 2010, Four-time All-Pro Left Tackle Walter Jones also announced his retirement after a 13-year career during which he became a cornerstone of the Seattle Seahawks organization. During training camp, the Seahawks continued to cut ties with many players. Former first-round pick Lawrence Jackson, who Carroll coached with at USC, was traded to the Detroit Lions for a 6th round pick. The previous year's starters including FB Owen Schmitt and WR T. J. Houshmandzadeh were released from the team. DB Josh Wilson was traded to Baltimore for a conditional fifth round pick. Former San Diego Chargers quarterback Charlie Whitehurst was acquired by Seattle on March 18, 2010. Whitehurst competed for the starting job with Matt Hasselbeck. Also, the Seahawks acquired Defensive Ends Chris Clemons and Robert Henderson respectively from the Eagles and Lions. Wide receiver Reggie Williams, a former first round pick with the Jacksonville Jaguars and a former Washington Huskies standout, signed with the Seahawks on April 16, 2010. On the last day of the 2010 NFL Draft, the Seahawks acquired running back LenDale White and defensive tackle Kevin Vickerson from the Tennessee Titans. With the trade, White would have been reunited with his college coach Pete Carroll from USC, but was cut on May 28. 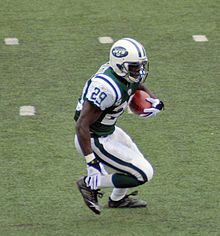 Also, the New York Jets traded former Pro Bowler Leon Washington to Seattle. The Seahawks preseason schedule was announced on March 31, 2010. Divisional matchups have the NFC West playing the NFC South and the AFC West. The Seahawks began their season at home for an NFC West rivalry against the San Francisco 49ers. In the first quarter, Seattle trailed early when 49ers kicker Joe Nedney made a 23-yard field goal, which was extended in the second quarter when Nedney made another 23-yard field goal. Then, the Seahawks fought back and took the lead when quarterback Matt Hasselbeck got a 1-yard touchdown run, followed by him making a 13-yard touchdown pass to wide receiver Deon Butler. In the third quarter, Seattle continued to dominate when cornerback Marcus Trufant returned an interception and ran 32 yards for a touchdown. This was followed by Hasselbeck's 3-yard TD pass to wide receiver Deion Branch. In the fourth quarter, the Seahawks scored again when kicker Olindo Mare made a 35-yard field goal. With the win, Seattle began the season at 1–0. Coming off an easy win over the 49ers, the Seahawks flew to INVESCO Field at Mile High for an interconference duel with their former division rival, the Broncos. In the first quarter Seattle trailed early as QB Kyle Orton made a 13-yard TD pass to WR Eddie Royal, followed in the second quarter by RB Correll Buckhalter getting a 1-yard TD run. Then kicker Matt Prater made a 20-yard field goal to put the Broncos up 17–0. In the third quarter Seattle tried to cut the lead when QB Matt Hasselbeck completed an 11-yard TD pass to WR Ben Obomanu, but Denver scored with RB Knowshon Moreno getting a 1-yard TD run. In the fourth quarter Seattle fell further behind when Orton found WR Demaryius Thomas on a 21-yard TD pass. Seattle would make the final score of the game when Hasselbeck scrambled 20 yards to the endzone for a touchdown. With the loss, Seattle fell to 1–1. The Seahawks' third game was played at home ground when they played their former division rival, the San Diego Chargers. In the second quarter Seattle took the early lead when kicker Olindo Mare made a 23-yard field goal. Then QB Matt Hasselbeck completed a 9-yard TD pass to TE John Carlson. This was followed in the third quarter by RB Leon Washington returning a kickoff 101 yards to the endzone for a touchdown. The lead was broken down with QB Philip Rivers getting a 3-yard TD pass to WR Malcolm Floyd, followed by Hasselbeck getting sacked by ILB Brandon Siler in the endzone for a safety. Then kicker Nate Kaeding made a 29-yard field goal. The Seahawks increased their lead when Mare made a 23-yard field goal, but the Chargers replied and tied the game when Rivers found TE Antonio Gates on a 12-yard TD pass. (With a successful 2-point conversion as Rivers found WR Legedu Naanee). Before the clock struck zero Seattle took the winning score as RB Leon Washington returned his second kickoff of the game into the endzone running 99 yards for a touchdown. Rivers and the Chargers attempted to make a comeback with less than a minute left, but was picked off by rookie Earl Thomas to seal the win for Seattle. With the win, Seattle improved to 2–1. The Seahawks' fourth game was played at Edward Jones Dome where they played an NFC west rivalry match against the Rams. In the first quarter the Seahawks trailed early as QB Sam Bradford completed a 15-yard TD pass to WR Brandon Gibson. The Seahawks cut the lead with kicker Olindo Mare nailing a 22-yard field goal, but the Rams increased their lead when kicker Josh Brown made a 30-yard field goal, followed in the 3rd quarter by Bradford completing a 21-yard TD pass to RB Kenneth Darby. Then Josh Brown made a 31-yard field goal to put the Seahawks further behind. With the loss, Seattle fell to 2–2 coming into their bye week and their 10-game winning streak against the Rams was snapped. Following a bye week, the Seahawks traveled to Soldier Field and face the Chicago Bears with a new weapon in running back Marshawn Lynch. Chicago quickly scored in the first quarter with a Matt Forte 6-yard run, but Matt Hasselbeck and the offense would respond quickly with a 22-yard touchdown reception by Deon Butler. Seattle would extend the lead to 14–7 with a Justin Forsett touchdown run near the beginning of the 2nd quarter, but two Chicago field goals made by Robbie Gould would bring the Bears to a one-point deficit at halftime. However, Chicago's offense was continuously hampered by the Seahawks' blitzes, roughing up Jay Cutler for 6 sacks and a safety in the 3rd quarter. Lynch would score his first touchdown as a Seahawk later in the game, extending Seattle's lead to 23–13. The Bears tried to rallied within the last few minutes of the game as Devin Hester scored on an 89-yard punt return for a touchdown (His 13th, which ties an NFL record for most punt/kick return touchdowns for a player), but an onside kick recovered by tight end John Carlson sealed the deal as Seattle won their first non-division road game since 2007. With the win, the Seahawks moved to 3–2. Coming off their win over the Bears the Seahawks played on home ground for an NFC West rivalry match against the Cardinals. In the first quarter the Seahawks took the lead as kicker Olindo Mare got a 20-yard field goal. Followed in the second quarter by QB Matt Hasselbeck making a 2-yard TD pass to WR Mike Williams. The Seahawks increased their lead in the 3rd quarter with Mare nailing a 31 and a 51-yard field goal. The Cardinals replied with RB Beanie Wells getting a 2-yard TD run. The Seahawks continued to score with Mare hitting a 24-yard field goal, but the Cardinals responded in the fourth quarter with kicker Jay Feely getting a 24-yard field goal. The Seahawks pulled away with Mare making a 26-yard field goal. With the win, the Seahawks improved to 4–2. Hoping to increase their winning streak the Seahawks flew to Oakland–Alameda County Coliseum where they played their former division rival, the Oakland Raiders. The Seahawks immediately trailed on a scoring rally by the Raiders with kicker Sebastian Janikowski nailing a 31-yard field goal. This was followed in the second quarter by QB Jason Campbell's 30-yard TD pass to FB Marcel Reece. Then in the third quarter Janikowski made a 36-yard field goal. Then he made a 22-yard field goal in the fourth quarter to put the Raiders up 16–0. The Seahawks struggled further with Campbell getting a 69-yard TD pass to WR Darrius Heyward-Bey. The Seahawks would make their only score of the game with kicker Olindo Mare hitting a 47-yard field goal. However, they continued to trail as Janikowski made a 49-yard field goal, followed by RB Michael Bush making a 4-yard TD run. With the loss, the Seahawks fell to 4–3. The Seahawks' eighth game was an NFC duel with the Giants at home. The Giants took control with RB Ahmad Bradshaw getting a 2-yard TD run, followed by Eli Manning's 46-yard TD pass to WR Hakeem Nicks, followed by Bradshaw's 4-yard TD run. In 2nd quarter QB Eli Manning found WR Steve Smith and TE Kevin Boss on 6 and 5-yard TD passes respectively. The lead was expanded by kicker Lawrence Tynes who made a 25 and a 20-yard field goal. Seattle made their only score of the game with QB Charlie Whitehurst completing a 36-yard TD pass to WR Ben Obomanu. With the loss, Seattle fell to 4–4. This also marks the first time that they lost to the Giants at home since 1981. Hoping to rebound from their loss to the Giants the Seahawks flew to University of Phoenix Stadium for an NFC West rivalry match against the Cardinals. In the first quarter the Seahawks trailed early as RB Tim Hightower got a 2-yard TD run. They replied with RB Marshawn Lynch getting a 1-yard TD run. They took the lead with kicker Olindo Mare getting a 41-yard field goal, but the Cardinals replied with kicker Jay Feely nailing a 23-yard field goal. They took control with QB Matt Hasselbeck completing a 63-yard TD pass to WR Deon Butler. This was followed in the third quarter by a 34, 19 and 23-yard field goal from Mare. In the fourth quarter Mare got another 19-yard field goal to put the Seahawks up 29–10. The Cardinals responded with QB Derek Anderson making a 2-yard TD pass to WR Early Doucet (With a successful 2-point conversion as Anderson found WR Larry Fitzgerald), but the Seahawks put the game away with RB Justin Forsett getting a 4-yard TD run. With the win, not only did the Seahawks improve to 5–4, but they swept the Cardinals for the first time since 2005. The Seahawks' tenth game was an NFC duel with the Saints. In the first quarter the Seahawks took the lead as kicker Olindo Mare hit a 20-yard field goal; but the Saints pulled ahead after RB Chris Ivory got a 1-yard TD run. The lead narrowed in the 2nd quarter by Mare getting a 43-yard field goal, but the Seahawks fell further behind when QB Drew Brees made a 23 and a 3-yard TD pass to WR Marques Colston and WR Robert Meachem respectively. The Seahawks cut the lead again after QB Matt Hasselbeck got a 2-yard TD pass to WR Ben Obomanu; but the Saints replied with Brees throwing a 22-yard TD pass to Colston. The Seahawks tried to cut the lead with Mare hitting a 43-yard field goal. The lead extended in the third quarter with Brees finding Meachem again on a 32-yard TD pass. The Seahawks made the only score of the fourth quarter with Mare making a 20-yard field goal; however, the Saints' defense closed off any more chances. With the loss, Seattle fell to 5–5. Hoping to rebound from their loss to the Saints the Seahawks played on home ground where they played their former division rival, the Kansas City Chiefs. In the first quarter, the Seahawks trailed early with QB Matt Cassel getting a 7-yard TD pass to WR Dwayne Bowe. They responded after FS Earl Thomas returned a blocked punt 10 yards for a touchdown. They fell behind as Shaun Smith got a 1-yard TD run, followed by Cassel finding Bowe again on a 36-yard TD pass. The Seahawks cut the lead when kicker Olindo Mare got a 43-yard field goal, followed by QB Matt Hasselbeck getting a 13-yard TD pass to TE Chris Baker. The struggled further with RB Jamaal Charles getting a 3-yard TD run, followed by Cassel throwing to Bowe on a 9-yard TD pass. The Seahawks responded as Hasselbeck completed an 87-yard TD pass to WR Ben Obomanu, but the Chiefs increased their lead as Cassel got a 6-yard TD pass to TE Tony Moeaki. With the loss, Seattle fell to 5–6. Hoping to rebound from their loss to the Chiefs the Seahawks played on home ground for an NFC duel with the Panthers. In the first quarter the Seahawks trailed early as RB Mike Goodson got a 6-yard TD run, followed by RB Jonathan Stewart getting a 3-yard TD run. They commanded the rest of the game with kicker Olindo Mare getting a 24-yard field goal, followed by RB Marshawn Lynch getting a 1-yard TD run, then with Lofa Tatupu returning an interception 26 yards for a touchdown. The lead was extended with Lynch getting a 1 and a 22-yard TD run. With the win, not only did the Seahawks improve to 6–6, they surpassed their victory mark of the last 2 seasons. After their win over the Panthers the Seahawks flew to Candlestick Park for an NFC West rivalry match against the 49ers. The Seahawks trailed early with QB Alex Smith completing a 42-yard TD pass to TE Vernon Davis, but they replied with QB Matt Hasselbeck throwing an 11-yard TD pass to WR Ruvell Martin. They fell further behind when kicker Jeff Reed hit a 33 and a 44-yard field goal, followed by Smith completing a 15 and a 62-yard TD pass to Josh Morgan and Brian Westbrook respectively. This was followed by Reed making a 22-yard field goal, and in the third quarter with FS Dashon Goldson returning an interception 39 yards for a touchdown. After that, Reed nailed a 36-yard field goal to put the 49ers up 40–7. The Seahawks tried to cut the lead down but only came away with RB Leon Washington returning the kickoff 92 yards for a touchdown, and in the 4th quarter with QB Matt Hasselbeck getting a 2-yard TD pass to WR Deon Butler. With the loss, Seattle fell to 6–7. Hoping to rebound from their loss to the 49ers the Seahawks played on home ground for an NFC duel with the Falcons. In the first quarter the Seahawks took the lead with RB Marshawn Lynch getting a 1-yard TD run, with the Falcons replying with QB Matt Ryan making a 3-yard TD pass to FB Jason Snelling. The Seahawks trailed slightly with kicker Matt Bryant hitting a 27-yard field goal, but managed to tie the game with kicker Olindo Mare nailing a 38-yard field goal. They struggled to keep up after Ryan completed a 24-yard TD pass to WR Michael Jenkins, followed by QB Matt Hasselbeck losing the ball in the endzone which was picked up by DT Jonathan Babineaux for a touchdown. This was followed by Bryant getting a 25-yard field goal, and then with Ryan getting a 5-yard TD pass to WR Roddy White. The Seahawks tried to cut the lead, but only came away with QB Charlie Whitehurst scrambling a yard for a touchdown. With the loss, Seattle fell to 6–8. Hoping to rebound from their loss to the Falcons the Seahawks flew to Raymond James Stadium for an NFC duel with the Buccaneers. The Seahawks took the early lead with QB Matt Hasselbeck scrambling 1 yard for a touchdown, but failed to maintain this lead with kicker Connor Barth hitting a 46-yard field goal, followed by QB Josh Freeman completing a 10 and a 20-yard TD pass to TE Kellen Winslow and to WR Mike Williams. The Seahawks fell further behind when Freeman connected to Winslow and Williams again on a 21 and a 7-yard TD pass. The Seahawks tried to come back with RB Leon Washington getting a 16-yard TD run (With a successful 2-point conversion as QB Charlie Whitehurst connected to WR Ben Obomanu), but struggled to keep up as Freeman made a 2-yard TD pass to WR Maurice Stovall. With the loss, Seattle fell to 6–9. Hoping to end their season on a positive note, the Seahawks went home for a Week 17 NFC West rematch with the St. Louis Rams, with the division title on the line. Seattle delivered the game's opening strike in the first quarter as quarterback Charlie Whitehurst found wide receiver Mike Williams on a 4-yard touchdown pass. The Rams answered in the second quarter with former Seahawks kicker Josh Brown making a 32-yard field goal. St. Louis continued to pound away at Seattle's lead in the third quarter as Brown got a 27-yard field goal, yet the Seahawks replied with a 31-yard field goal from kicker Olindo Mare. Afterwards, Seattle pulled away in the fourth quarter with Mare's 38-yard and 34-yard field goals. With the win, not only did the Seahawks finish the regular season at 7–9, but they also won the NFC West for the first time since 2007 and secured the NFC's #4 seed. Also, Seattle became the first team in NFL history to make the playoffs in a non-strike season and become division champions with a losing record. Seattle entered the postseason as the #4 seed in the NFC. Entering the postseason as the NFC's #4 seed, the Seahawks began their playoff run at home in the NFC Wild Card Round against the #5 New Orleans Saints in a rematch of their Week 11 duel. Seattle trailed early in the first quarter as Saints kicker Garrett Hartley got a 26-yard field goal, followed by quarterback Drew Brees completing a 1-yard touchdown pass to fullback Heath Evans. The Seahawks answered with quarterback Matt Hasselbeck finding tight end John Carlson on an 11-yard touchdown pass. New Orleans responded in the second quarter with running back Julius Jones getting a 5-yard touchdown run, yet Seattle took the lead with Hasselbeck connecting with Carlson again on a 7-yard touchdown pass, Mare booting a 29-yard field goal, and Hasselbeck hooking up with wide receiver Brandon Stokley on a 45-yard touchdown pass. The Saints closed out the half with Hartley getting a 22-yard field goal. The Seahawks added onto their lead in the third quarter as Hasselbeck found wide receiver Mike Williams on a 38-yard touchdown pass, followed by a 39-yard field goal from Mare. New Orleans ate away at their deficit in the fourth quarter with Jones' 4-yard touchdown run and Hartley's 21-yard field goal, yet Seattle came right back with a 67-yard touchdown run from running back Marshawn Lynch. The Saints tried to rally with Brees completing a 6-yard touchdown pass to wide receiver Devery Henderson (with a failed two-point conversion), yet a failed onside kick helped preserve the victory. With the win, not only did the Seahawks improve their overall record to 8–9, but they became the first sub-.500 team in NFL history to win a playoff game as well as dethroning the defending world champion Saints from further playoff contention. It was later determined that crowd activity and noise was so great, specifically during Marshawn Lynch's game-clinching touchdown run, that a nearby seismic monitoring station registered a small tremor located at Qwest Field. With the win, the Seahawks had a 6–3 record at home for the season. Coming off their win over the Saints, the Seahawks flew to Soldier Field for the NFC Divisional Round against the #2 Chicago Bears, in a rematch of their Week 6 matchup. Seattle trailed early in the first quarter as Bear quarterback Jay Cutler completed a 58-yard touchdown pass to tight end Greg Olsen, followed by running back Chester Taylor getting a 1-yard touchdown run. Chicago added onto their lead in the second quarter as Cutler got a 6-yard touchdown run. The Bears continued their dominating day in the third quarter as Cutler got a 9-yard touchdown run. Seattle finally answered with a 30-yard field goal from kicker Olindo Mare. The Seahawks tried to rally in the fourth quarter as quarterback Matt Hasselbeck found wide receiver Mike Williams on a 38-yard touchdown pass, but Chicago pulled away with Cutler completing a 39-yard touchdown pass to tight end Kellen Davis. Seattle continued to try to rally as Hasselbeck connected with Williams again on a 3-yard touchdown pass, followed by a 9-yard touchdown pass to wide receiver Brandon Stokley, yet the Bears held on to preserve the win. With the loss, the Seahawks' season came to an end with an overall record at 8–10. ^ a b Glazer, Jay (January 9, 2010). "Seahawks fire head coach Mora, target Carroll". Fox Sports. Retrieved 29 November 2010. ^ Football Outsiders: Final 2010 DVOA Ratings "The Seahawks do pass the 1998 Cardinals as the second-worst playoff team in DVOA history." ^ O'Neil, Danny (May 14, 2010). "Seahawks announce Ruston Webster's departure". The Seattle Times. Retrieved 29 November 2010. ^ "Schneider returns to Seahawks, this time as general manager". NFL.com. January 20, 2010. Retrieved 29 November 2010. ^ Farnsworth, Clare (January 12, 2010). "Extending your expectations". Seahawks.com. Retrieved 29 November 2010. ^ Johns, Greg (January 8, 2010). "Jim Mora fired as Seahawks coach". seattlepi.com. Retrieved 29 November 2010. ^ O'Neil, Danny (January 9, 2010). "NFL commissioner says Seahawks complied with the Rooney Rule". seattletimes.nwsource.com. Retrieved 29 November 2010. ^ "Seahawks hire Carroll as coach". SI.com. January 11, 2010. Archived from the original on 4 February 2010. Retrieved 29 November 2010. ^ O'Neil, Danny (January 14, 2010). "Coaching staff updates". seattletimes.nwsource.com. Retrieved 29 November 2010. ^ "Source: Seahawks add Alex Gibbs to staff". Boston Herald. January 12, 2010. Retrieved 29 November 2010. ^ Johns, Greg (September 5, 2010). "Carroll hiring former USC assistant to replace Gibbs". Seattle Post-Intelligencer. Retrieved 29 November 2010. ^ Brandt, Andrew (March 5, 2010). "Burleson finds match in Lions". Yahoo! Sports. Retrieved 29 November 2010. ^ O'Neil, Danny (April 5, 2010). "Seahawks trade guard Rob Sims to Detroit Lions". The Seattle Times. Retrieved 29 November 2010. ^ O'Neil, Danny (March 16, 2010). "Seahawks trade Darryl Tapp for Chris Clemons, fourth-round pick". The Seattle Times. Retrieved 29 November 2010. ^ O'Neil, Danny (August 18, 2010). "Lawrence Jackson traded to Detroit". The Seattle Times. Archived from the original on 26 October 2010. Retrieved 29 November 2010. ^ "Ravens pry CB Josh Wilson, a Maryland alum, away from Seahawks". USA Today. August 31, 2010. Retrieved 29 November 2010. ^ O'Neil, Danny (April 16, 2010). "Reggie Williams signs with Seahawks". The Seattle Times. Retrieved 29 November 2010. ^ "Titans trade RB White to Seahawks". FOX Sports. 24 April 2010. ^ Farnsworth, Clare (March 31, 2010). "Seahawks host Titans, Packers in preseason". Seahawks.com. Retrieved 29 November 2010. ^ 2010 NFL season results, NFL.com, accessed February 14, 2015. This page was last edited on 25 March 2019, at 07:05 (UTC).